Lyndhurst Group Home provides a homely environment for adults with learning disabilities. Set amongst the quiet, leafy streets of genteel Hove, Lyndhurst Group Home provides care for adults with learning disabilities. We offer a very high standard of friendly, individual personal care with an emphasis on encouraging our residents to become more and more independent with time. Lyndhurst Group Home is a registered Care Home and is able to offer accomodation for adults over the age of 18 with learning disabilities, offering short holidays and long term permanent placements. Independence and self reliance is as the core of our care philosophy for the residents. 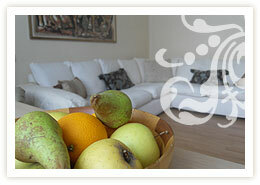 Lyndhurst Residential Group Home is located in a quiet street in the Seven Dials area of Hove, East Sussex. We are approximately 10 minutes walk from the seafront with its long promenade, and just a stone’s throw from Hove’s wonderful St Anne’s Well Gardens. There are a variety of local shops including a Post Office and off license. The area is well served with bus and rail services, and parking is pay and display on the street outside.